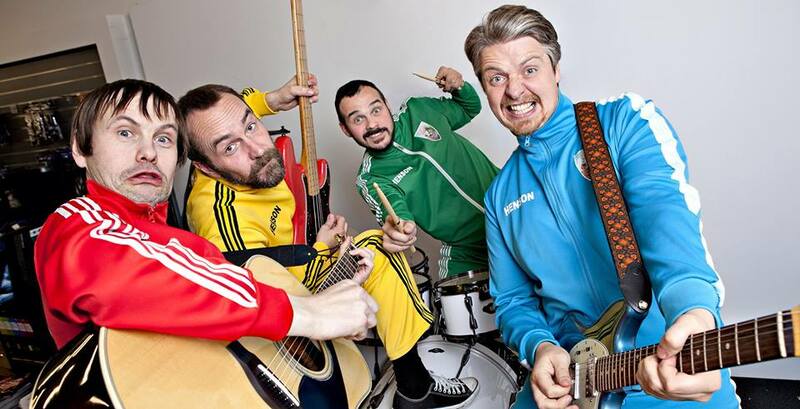 To the surprise (and dismay) of many Eurofans, but somewhat expected by the public in Iceland, it was rock band Pollapönk that took the win at the Háskólabíó with their bouncy, 80’s-throwback rock entry, “Enga fordóma (No Prejudice)”, beating out Sigríður Eyrún Friðriksdóttir’s “Lífið kviknar á ný/Up and Away” in the Superfinal. It’s fair to say that Pollapönk has an interesting pedigree. Originally formed as an educational project by preschool teachers Heiðar Örn Kristjánsson and Haraldur Freyr Gíslason in 2006, the band has taken on a life of its own and have released three full-length albums, most recently in 2011. Guðni Finnsson and Arnar Þór Gíslason, both with backgrounds in rock, round out the band. The aim of the group is to create music geared towards children, but in a way that their parents can enjoy just as much. With band members with previous experience in bands like Botnleðja, Dr. Spock, and Ensimi, you really shouldn’t be expecting the Teletubbies up there. Maybe the closest analogue I can find to Pollapönk for an English-speaking audience is when They Might Be Giants (already known for their quirky, experimental take on rock) delve into their phases of children’s music, like on their “No!” or “Here Comes Science” albums. Interestingly enough, TMBG have been known to integrate their youth-focused music into their standard, adult-geared setlists, and they flow together fantastically well. “Enga fordóma” is not what one would immediately expect when they think of “Eurovision Music”. But, in a way, maybe it is? A fun, danceable beat? Check. Just like I said in my piece on Malta, Eurovision has to step outside of the schlager-pop or ballad bubble in order to grow, evolve, and change as we look forward to the next sixty years and beyond. And what better way to keep Eurovision rolling on into the next generation than cater to the young’uns directly? Posted on February 16, '14, in 2014, Iceland and tagged Enga fordóma, Iceland, Pollapönk, songvakeppni. Bookmark the permalink. Leave a comment.